Make your own all natural, custom face scrub, face moisturizer, body cream, or hair treatment. This kit gives you all the confidence you need, with easy-to-follow instructions that guide you through the process to help create a formula that’s right for your skin. 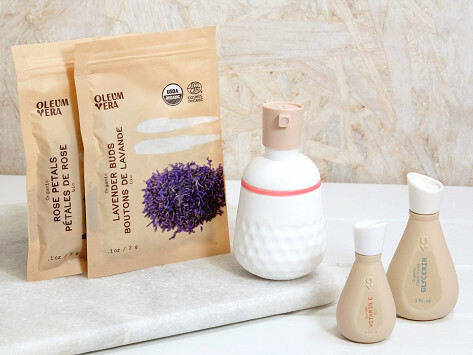 All the included ingredients are sustainably-sourced and non-GMO (like rose petals, lavender buds, and natural clays). Blend them with a few items from your kitchen inside the included mixing jars, and enjoy the premium pampering. Weight: 0.77 lb. - 0.93 lb.